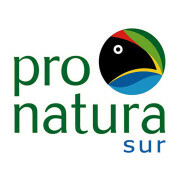 Under this two-year public-private alliance, Pronatura Sur supports a mangrove restoration project, identifying the causes of and mechanisms for addressing deforestation and forest degradation. Program partner Bonafont is investing funding for carbon enhancement pilot projects at three different sites. This initiative aims to develop a regional community-based mitigation project in coastal Chiapas, including REDD+ activities for mangrove forests to contribute to national and subnational readiness for REDD. The partnership between USAID-Mexico, the Mexican organization Pronatura Sur and the Bonafont and Livelihoods Network companies seeks to restore and preserve up to 600 ha of mangrove forests on the coast of Chiapas, by developing a market approach to support the increase of the mangrove forests’ carbon stocks and improving the livelihoods of local communities. Pronatura Sur. Pronatura Chiapas AC before AC is a civil association nonprofit founded in 1989 and with legal personality since 1993. Their organization works closely with organizations Pronatura in Mexico, with which coordinated actions are shared, and national programs. AC Pronatura Sur has its own Board of Directors and independent institutional management systems.